General habitat is open and semi-open habitats. 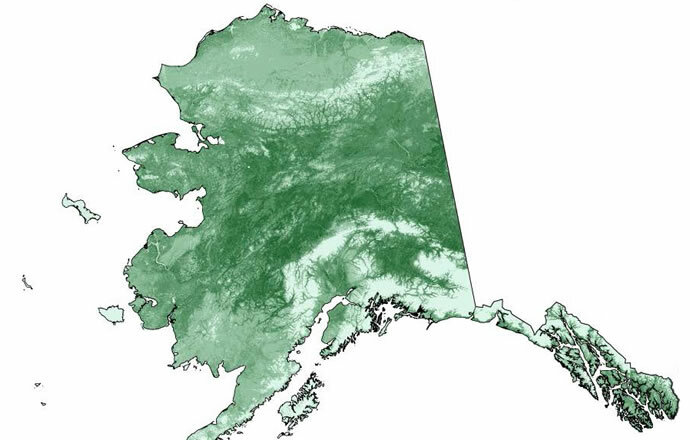 Breeding habitat in N. and interior Alaska is rugged, mountainous terrain near or above timberline. Also, breeds along bluffs and cliffs along rivers below treeline and sea cliffs in nw. Alaska. In Denali NP breeds in alpine and subalpine habitats. Forages on alpine tundra at edges of subalpine scrub in sw. AK and tundra river valleys (Sage 1974, Ritchie and Curatolo 1982, Petersen et al. 1991, Young et al. 1995). ￼￼￼Ritchie, R. J. and J. A. Curatolo. 1982. Notes on Golden Eagle productivity and nest site characteristics, Porcupine River, Alaska, 1979-1982. Raptor Research 16:123-127. Sage, B. L. 1974. 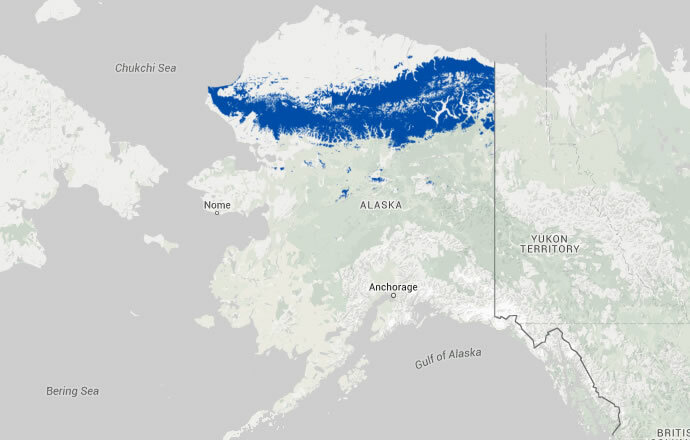 Ecological distribution of birds in the Atigun and Sagavanirktok River Valleys, arctic Alaska. Canadian Field-Naturalist 88:281-291. ￼￼￼Young, D. D., Jr., C. L. McIntyre, P. J. Bente, T. R. McCabe, and R. E. Ambrose. 1995. Nesting by Golden Eagles on the north slope of the Brooks Range in northeastern Alaska. Journal of Field Ornithology 66:373-379.